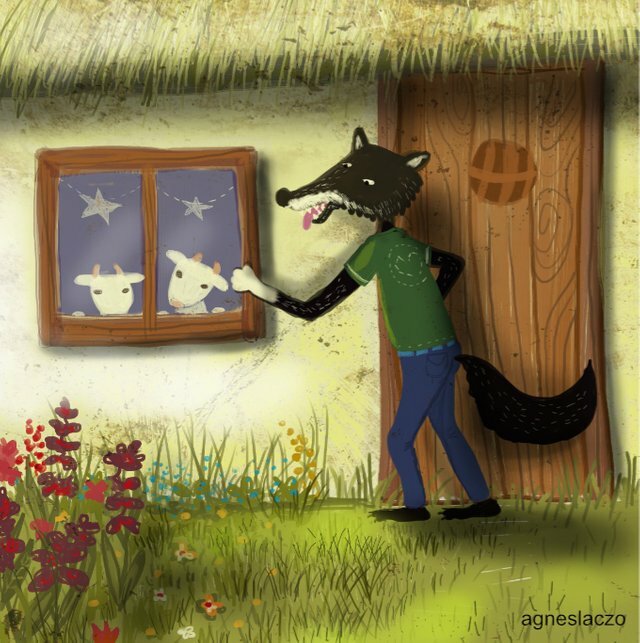 Here is one of my illustration based on a quite famous fairy tale. Thank You for checking it out and your support ! Have a lovely sunny Sunday ! Very cool and interesting drawing, Agnes. Excellent work! We seem to have a few Big Bad Wolves in this blockchain, too. But they seem to attack only small users who post political content. If you don't post controversial stuff, you're ok. If you do, make sure you have at least 50 000 STEEM because the cowards will not touch you if you're that rich. What happened to them little pigs?